Have some fun with colour! What a great choice of cafe seats for Yummo's Icecream and Lollie Shop! The Rainbow Banquette Seats are available in a large range of colours. We can also supply the matching tables. JARO can help you design that special look for your venue whether it is bright and colourful or more traditional. We have loads of banquette seating styles to select from with an endless range of colours. All our venue seats meet the new Fire Retardant and commercial furniture guidelines a must for your insurance and safety requirements. 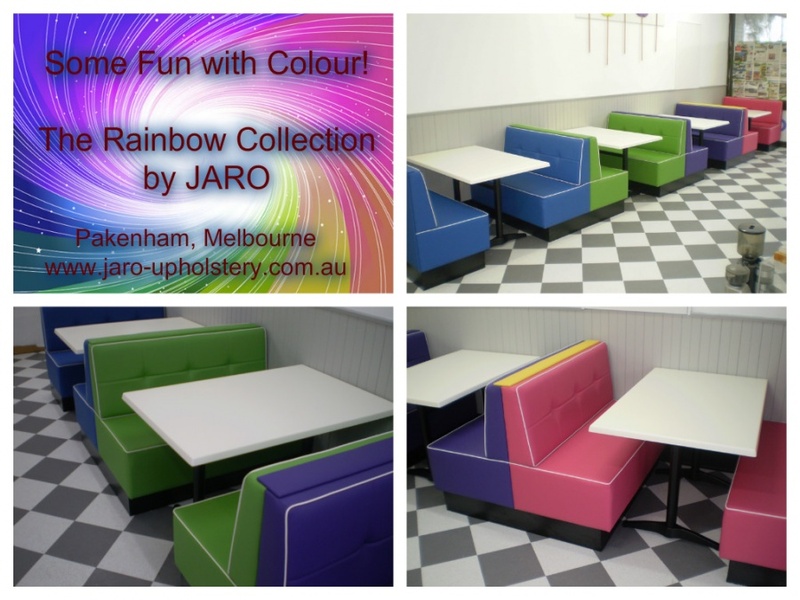 Feel free to make enquiries either by email to enquiries@jaro-upholstery.com.au or text/ring Jason on 0402 188238.